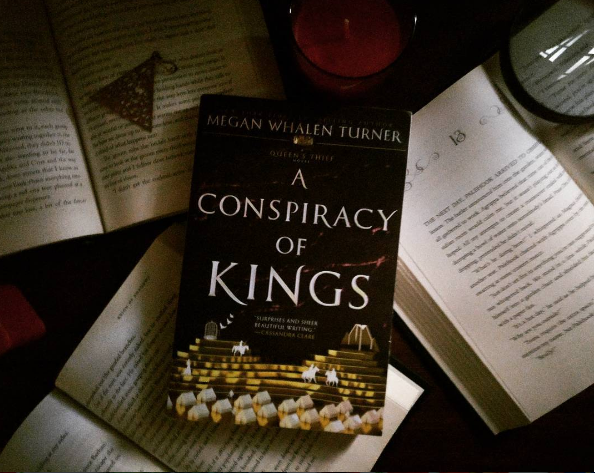 This edition of A Conspiracy of Kings includes a conversation between bestselling author Leigh Bardugo and Megan Whalen Turner, an introduction to the characters from the world of the Queen’s Thief, a map of the world of the Queen’s Thief, and an exclusive teaser to Thick as Thieves. I've picked this book up twice before I actually finished it and dropped it both times before. 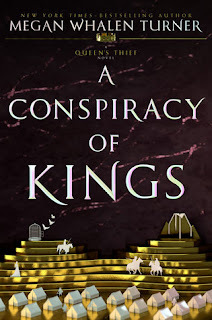 If you've read my review of the three previous books in this series, The Thief and The Queen of Attolia you'll know that it was quite a journey for me to begin to understand Eugenides and get used to him, and then in the King of Attolia, the person who was telling the story changed. 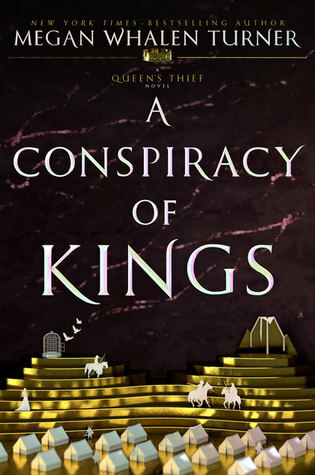 At least in book three, the story was still about Eugenides (Gen) but with A Conspiracy of Kings, we're told the story of a boy we met all the way back in The Thief, and I honestly wasn't ready for it. This was obviously, my very long way of saying that this series managed to throw me, yet again, with a change in the basic "WHO IS TELLING THE STORY" Even within the book, the first part is told from Sophos' 1st POV and the latter half in 3rd person. Talk about confusing. Even if I treated this book like a standalone, I didn't like the character of Sophos. He seemed like such a naive person even in the first book and it felt like his character was so vanilla throughout the course of the book. He sort of... bored me? 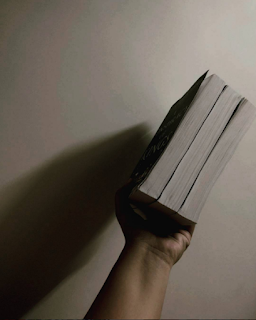 Though is character made progress on what kind of a ruler he wanted to be, and what kind of a person he should be from the book in Book One, I struggled to connect with him on what was supposed to be a re-defining journey. Even though I didn't like Sophos, the one thing I've NEVER been able to fault this series with is it's BRILLIANT world building. Whether we've been in Eddis, Attolia or absolutely anywhere else, I could feel the places being described and the people in it come to life as if they were sitting right next to me. There is no doubt in my mind that the world, the customs, the tradition and the religion that are in these books are some of the best that have ever been created in YA Fantasy books - and I've read a LOT of them! Another things I really loved about this book was the Romance! I didn't think too much of it at first, as this series hasn't given the most importance to that particular aspect of books and life but there was just this minute when the ship in this book hit me and, well, I loved it. I'm not entirely sure if I will be picking up Thick as Thieves, but it has been a wonderful experience reading this series. 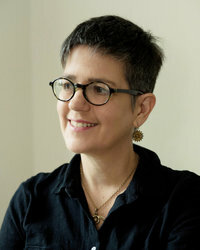 Have you had the chance to dive into Megan Whalen Turner's The Queen's Thief series? Who are some of your favourite fictional thieves? If you had to form a Heist Crew, which fictional characters would you choose?